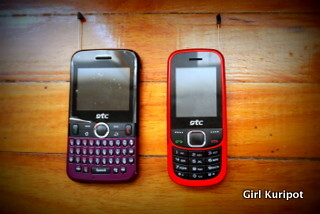 Girl Kuripot Girl Kuripot: Girl Kuripot Giveaway - DTC Stark TV Phones! 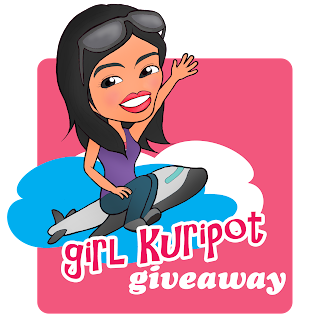 We're having another Girl Kuripot Giveaway! Because it's April and it's a special month for GK, we've doubled the number of prizes! 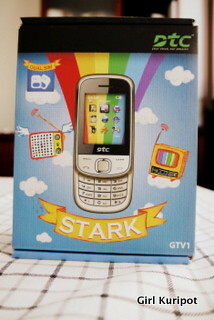 There will be 5 winners of DTC GTV1 Stark TV phones! 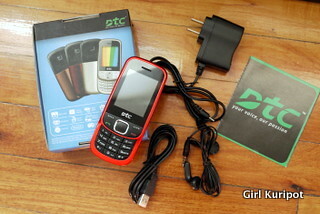 In our previous DTC Mobile Giveaway, I told you about DTC Mobile and the DTC GQTV Ego. This time, I got to try out the DTC GTV1 Stark. The Stark came in a very flashy red design and in an all-too-familiar keypad versus the interchangeable covers (red, purple and chrome) and QWERTY keypad of the Ego. 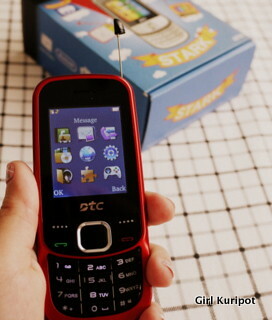 As with the Ego, the DTC Stark is a TV phone. It has the FM Radio, the World Clock, the Dual Sim Capability plus a Recorder, a Video Recorder, an Audio Player, a Camera, Facebook, Yahoo Messenger, Bluetooth and an Internet Browser (although you need to have internet connection straight from your network provider like Globe and not from WIFI). I actually like the Stark because it's slim and simple (like the old, sturdy and simple Nokia phones). I'm very happy that we will be giving away not two but five of these phones to my readers for your travels. This contest is open to all readers with a Philippine address. The prize will be delivered to you by DTC Mobile. You have to be willing to take a picture of yourself with your prize when you receive it. This GK Giveaway will run from April 19, 2012 all the way to May 11, 2012 12:01 a.m. I will be notifying the winners via email and will also announce it here in my blog. You will have five different chances/ways of winning. 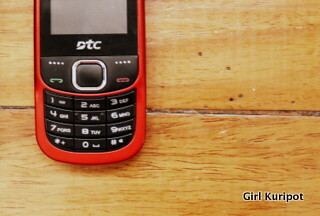 "@Dtcmobileph x @Girl_Kuripot Giveaway I want 5 TV Phones! Join now! http://girl-kuripot.blogspot.com/2012/04/girl-kuripot-giveaway-dtc-stark-tv.html"
Hi Reine. Wait for it to load then sign in. Done! Thanks Melody, more blog entries please, and giveaways too.